I don’t think there is anything more satisfying to a mid-westerner than a big ‘ole plate with some form of BUFFALO CHICKEN on it. I may be east coast born and raised, but butter my buns and call me a biscuit, because the mid west is doin something right with this buffalo chicken lifestyle and I am down with the get down. Make it a dip, eat it with chips, fry it up between two buns, slap it on a pizza, cook it up healthy…wait whaaaaaaat? Buffalo chicken can be HEALTHY?! Pay attention people, because this means you can eat buffalo chicken without the subsequent guilt trip…so who’s with me?! 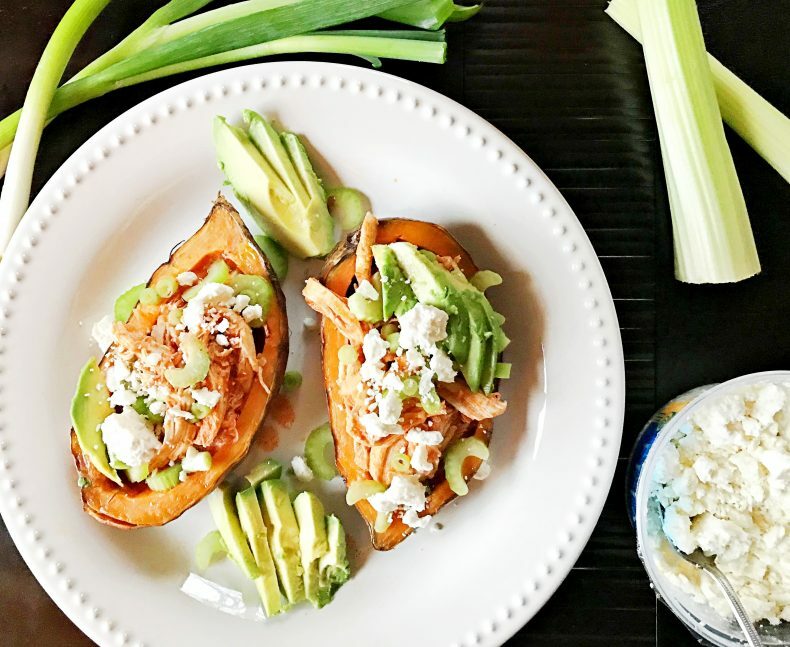 Not only do you get buffalo chicken for dinner, but you get it in a sweet potato boat to boot! This is probably the closest one gets to heaven on earth…with a side of lean protein, healthy carbs, and good fats! Cooking the chicken and sweet potato take some time, but assembly is very very quick and simple, which means you have time to catch up on other things while dinner is cooking! Like catching up of your Modern Family episodes, or re-watching season 5 of Friends when Monica and Chandler are in the throws of a seriously heated, yet secretive relationship, and nobody knows but Joey who hates keeping secrets, and then Phoebe finds out because Ross buys naked guy’s apartment, and…well, you’ll just have to re-watch it because this dinner is SO DARN EASY to make that you’ll have extra time! Start by taking chicken breasts and placing them in a slow cooker. Add Frank’s Red Hot, ghee (or grass-fed butter), garlic, broth, and let it cook on high for 3 hours or low for 7-8 while at work. 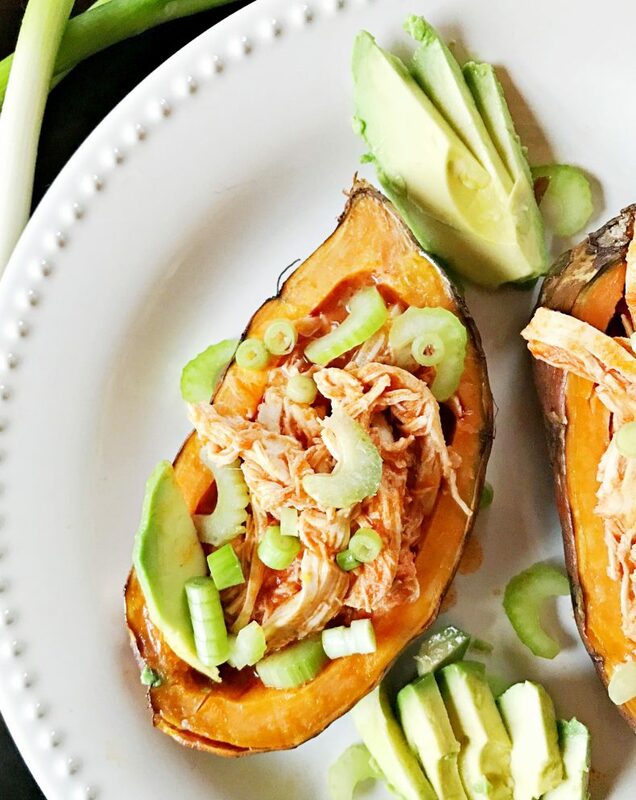 Once you’re chicken is done cooking, you’ll shred it directly in the slow cooker and then fork it out into your sweet potato boats before chowing down! Sweet potato prep just requires the spud to be cut in half, drizzled with oil, and baked in tin foil for 60 min. Once finished cooking, scoop out the middle of your potato, leaving some of the edges for maximum yum-factor. I took my extra sweet potato that was scooped out and made BBQ Sweet Potato Hummus with it! 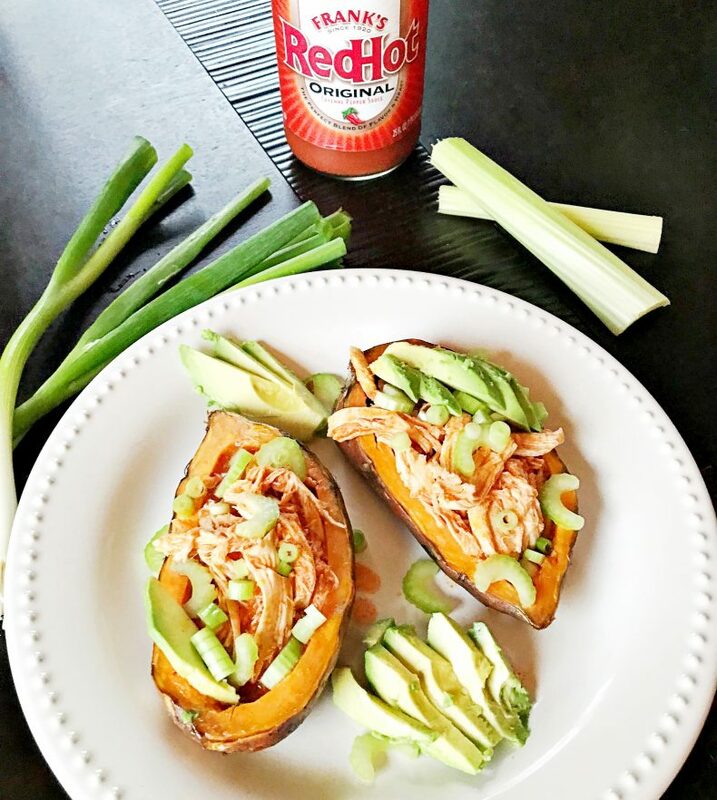 Transfer your desired amount of shredded buffalo chicken into your sweet potato boat, and top with all the fixings! I’m a huge fan of capsizing my boat with extra sauce from the slow cooker, because more red hot = better life. In your slow cooker, add chicken, garlic, bone broth, red hot and ghee. Cook on high for 3 hours, or low for 7-8 hours. When finished cooking, take two forks and shred chicken directly in slow cooker. Stir and cover with lid to keep warm before serving. 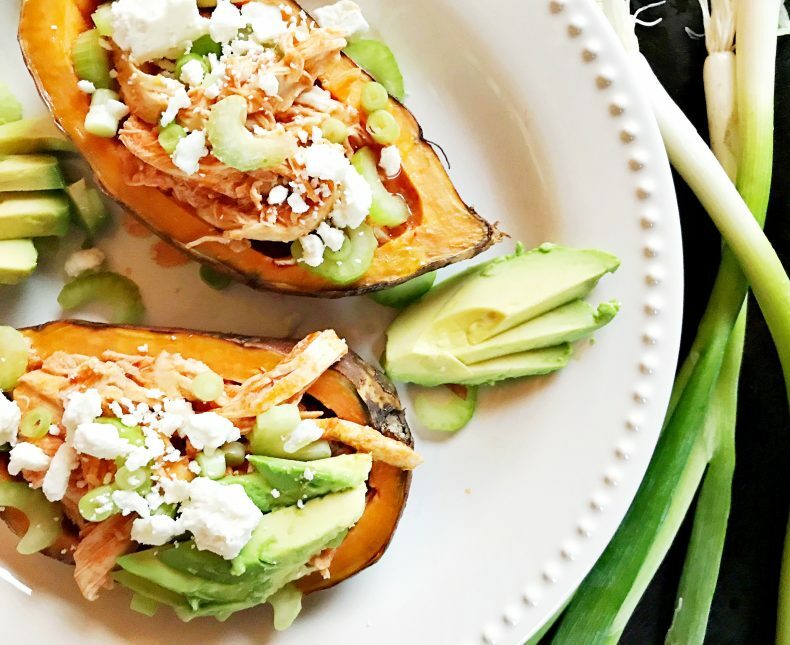 Take sweet potatoes and cut in half, long ways. Drizzle oil over all sides of sweet potato and wrap in foil. Place foil wrapped potatoes on a baking pan in case there is any dripping. Remove potatoes from oven and let sit in foil for 10 min in order to steam. While potatoes steam, prep toppings. Chop scallions, scoop out flesh of avocado and cut into thin pieces, and chop celery. After sweet potato is finished steaming, scoop out the inside flesh (leaving skin and a thin layer of flesh on the outside). You can either use a spoon to remove flesh, or take a sharp knife and cut around the inside edge of the potato. Proceed cutting down the length, then across the width of the potato to create cubes. Pull out cubes with a fork. 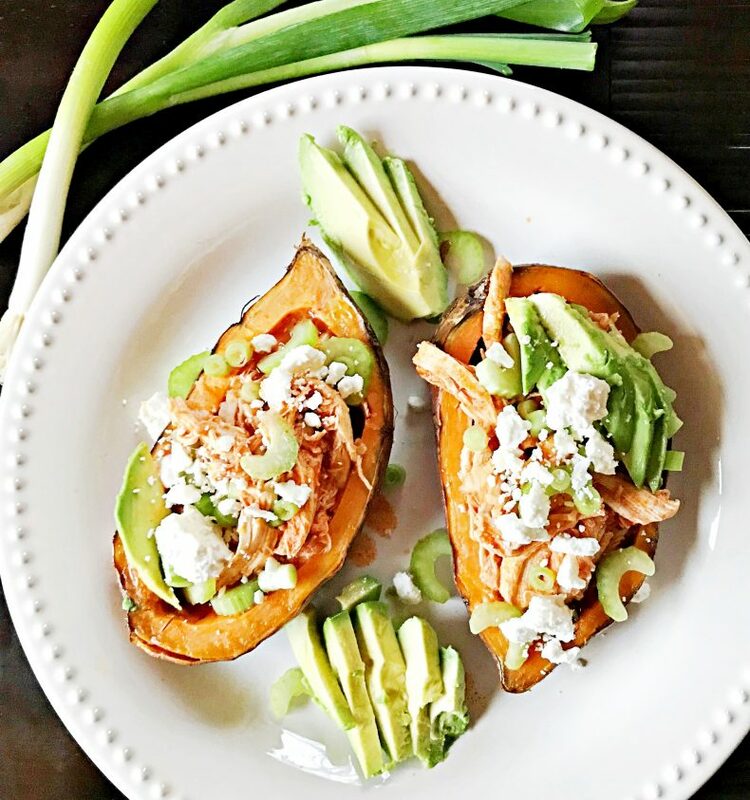 Fill sweet potato boats with shredded buffalo chicken, top with scallions, celery, avocado, and feta cheese. Hi, my name is Lulu! One of my passions in life is to create dishes that will gather friends and family to my table. My belief is that meals should be shared with others, affording us the opportunity to connect with one another. Lulu’s Table balances healthy eating for your body, and indulging for your soul…(and sanity). May this be a guide to inspire others to prepare homemade meals and to reconnect with friends and family at the dinner table. 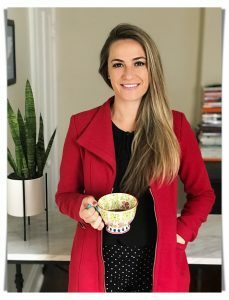 What's New on Lulu's Table?